The Seabird survey on Cousin Island Special Reserve was typically carried out during the South East monsoon season – a period of low rainfall and heavy winds – but since 2013 this is now done in both the North West (NW) and the South East (SE) monsoon seasons to compare trends between these different times of the year. The NW season, running from November to March, is time for heavy rains but calmer winds and sea. The White Terns breed all year round, although their numbers have been shown to be slightly higher between January and February. In 2017 the population numbers were quite close across both seasons and only fluctuating by a few breeding pairs. As has been seen over the years not a lot of White Terns chicks make it in the NW monsoon season. 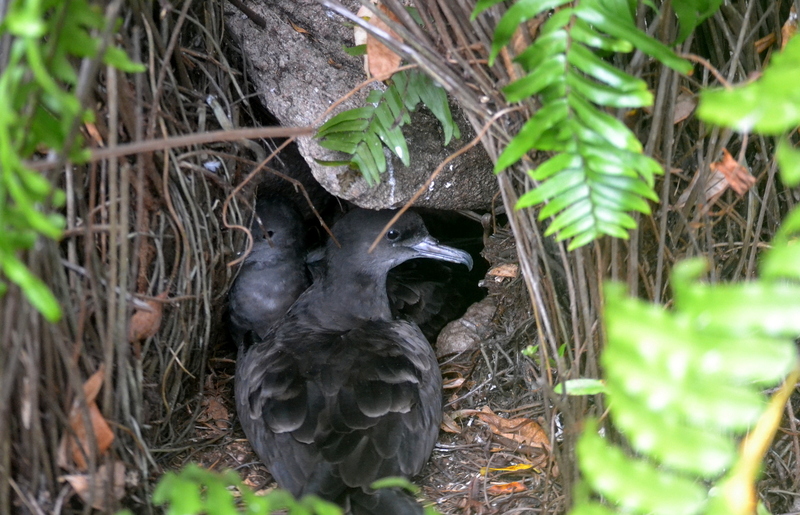 During the SE monsoon season Cousin Island saw quite a few days with heavy rainfall and stormy winds, many tree-nesting seabirds were heavily affected, more so the chicks that had not yet fledged. Lesser Noddy chicks were found in many areas around the forest floor having been blown out of their nest. Many chicks that had fallen out of the nest from stormy weather patterns, would still manage to stay close to the nest location and reside in one spot on the forest floor where the parents could successfully feed and provide for their young. However, the Lesser Noddys are still the most prolific seabird on Cousin, with a strong, stable population of around 50,000 breeding pairs. 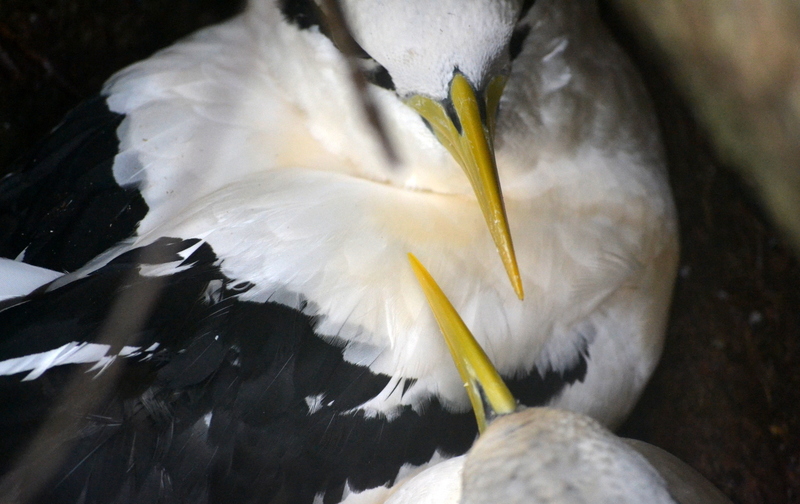 The White-Tailed Tropicbirds increased in numbers from last years’ population census count during the SE monsoon season where there were 1,234 breeding pairs recorded compared to this year’s 1,671 breeding pairs recorded. 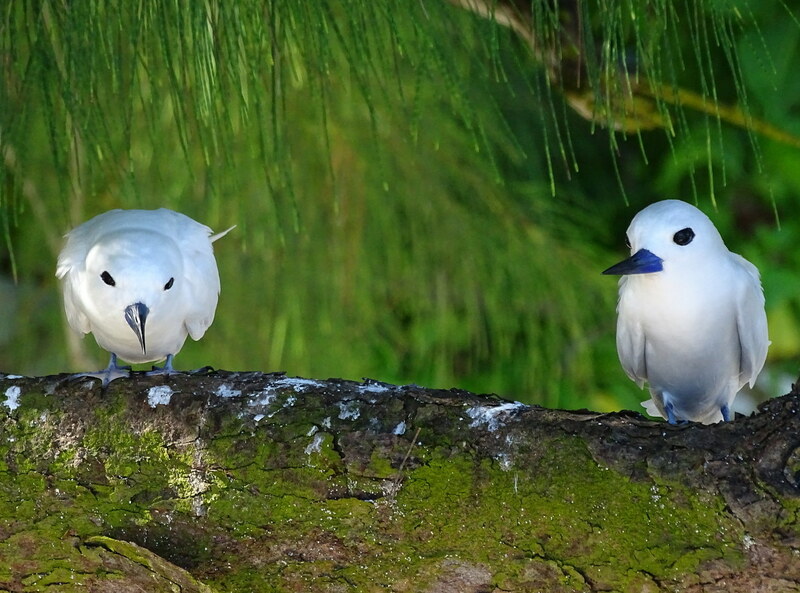 Regular monitoring will contribute to long-term data on consistency with nesting seabirds on nearby islands, with an aim to see if the White-Tailed Tropic birds are faithful to their nesting islands and can contribute to juvenile success rates. The future of Cousin Island’s research and monitoring of nesting seabirds is looking towards giving us a greater insight on these important birds.